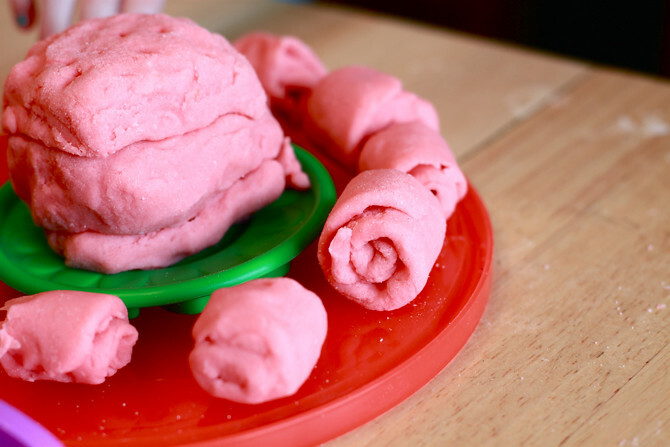 We have had two big balls of homemade pink play dough around our house for the last couple of months. They've been brought out for all little guests that have come to play, occupied the girls while I cook dinner, have been requested instead of playing outside, and recently were passed off to my niece, Isobel, to share the fun in her own home. 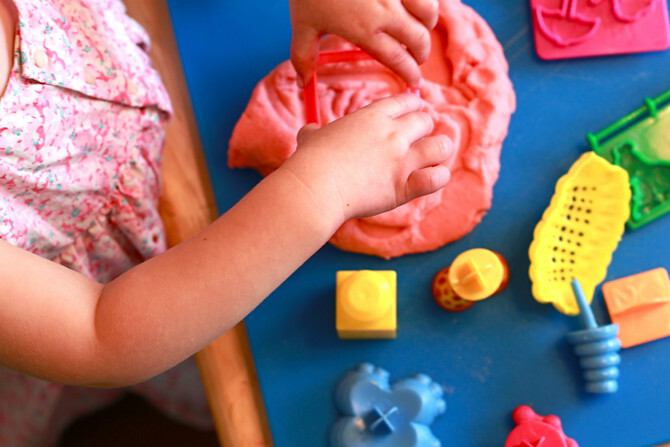 Homemade play dough-- nothing's like it. It feels different than store bought. 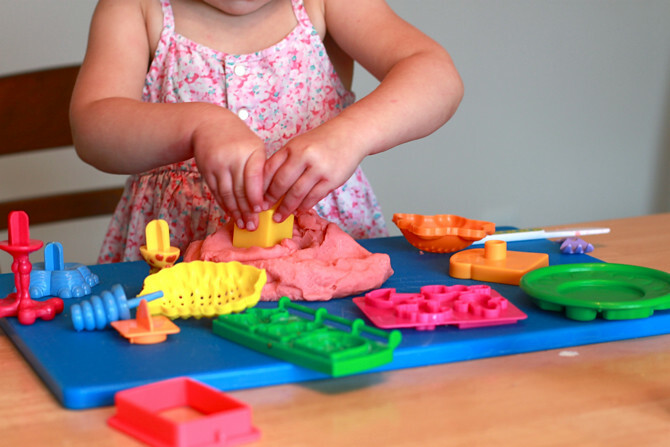 I pull out pizza slicers, plastic knives, apple slicers, cookie cutters, a roller, and anything interesting in my kitchen drawer and add it to the collection of play dough tools. And boy, do children love the real thing. It takes 5 minutes to make and lasts a long time. After play time, we keep the play dough in ziploc plastic bags and put them in the pantry. It is great to have on-hand for those moments when you need something fresh and exciting for your children, especially if you're looking for alternatives to the television. 1. In a heavy saucepan, mix the ingredients. 2. Cook on a medium heat, stirring constantly for 3 minutes or until mixture pulls away from sides of pan. It will have the consistency of mashed potatoes. 3. Remove from heat; let cool for 1 minute and then knead. It should have a soft, smooth texture. 4. Play dough can be stored in airtight containers and will keep for several weeks.